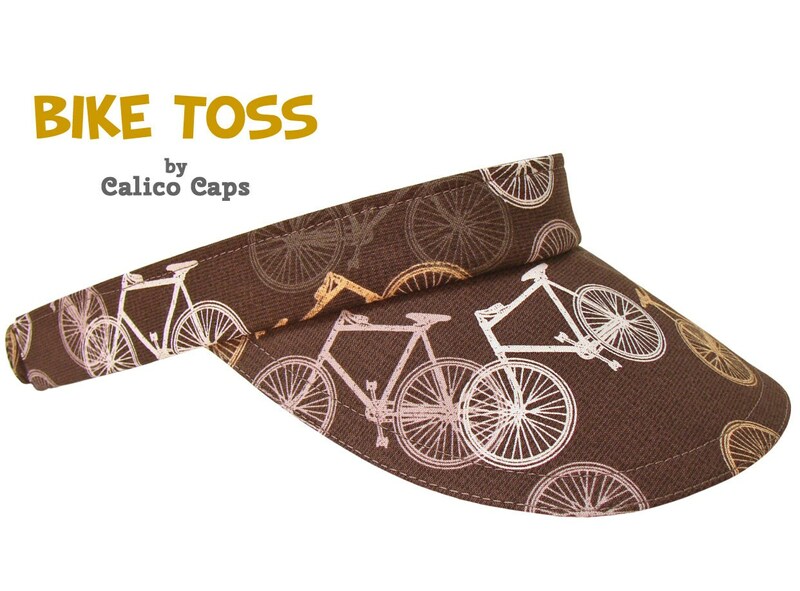 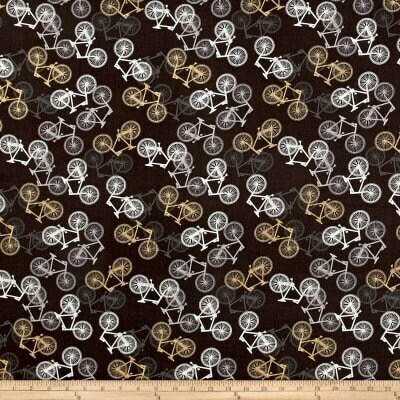 This visor is called "Bike Toss" - A sophisticated print featuring mountain bikes in shades of gray, gold, mauve and white scattered on a subtle grid pattern black background. 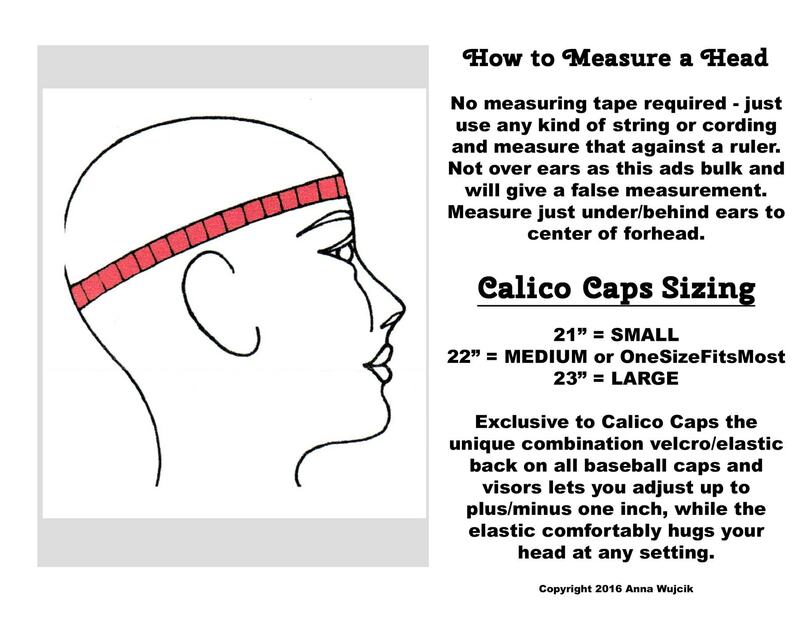 Dolphin Gray top-stitching, black grosgrain lines the entire band. 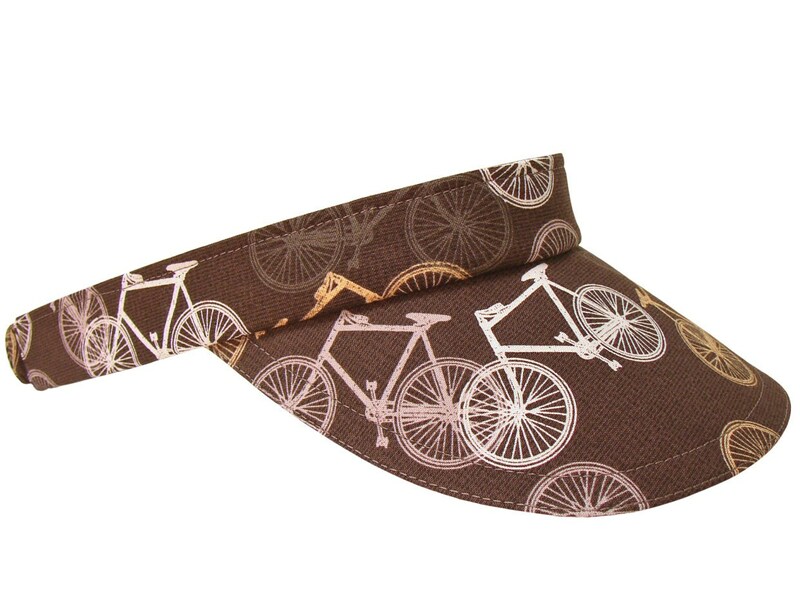 A great gift for your favorite cyclist.